In the winter of 2015, the villagers realised government help was not forthcoming. So they took it upon themselves to pave a road. 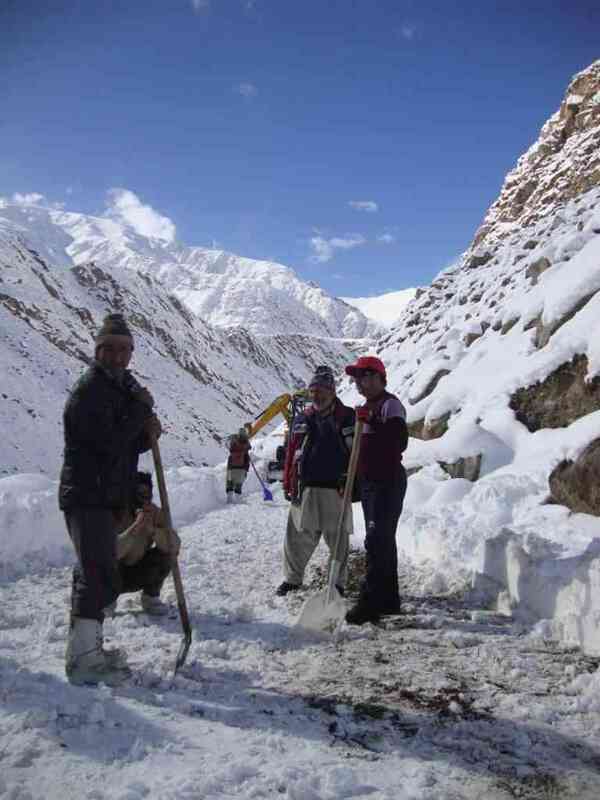 They collected funds, rented a JCB, and the men, women and children came together to construct a dirt road in temperatures as low as -20 degrees. Latoo translates to low-level barren land in Shina, a language spoken in Gilgit-Baltistan, Pakistan, and in pockets of India, such as Dah Hanu, Gurez and Dras. The name befits the bleak landscape allotted to its first settlers in 1968, after they were uprooted during the Indo-Pak war in 1965. Locals say seven families built houses using borrowed wood, mud and other necessary resources on the allotted four marlas (around 120 square yards), with the Rs 1,500 given to them by the district administration. The village of Latoo was officially their new home. Two of Latoo’s oldest residents are Api Rahima and Api Zahra. 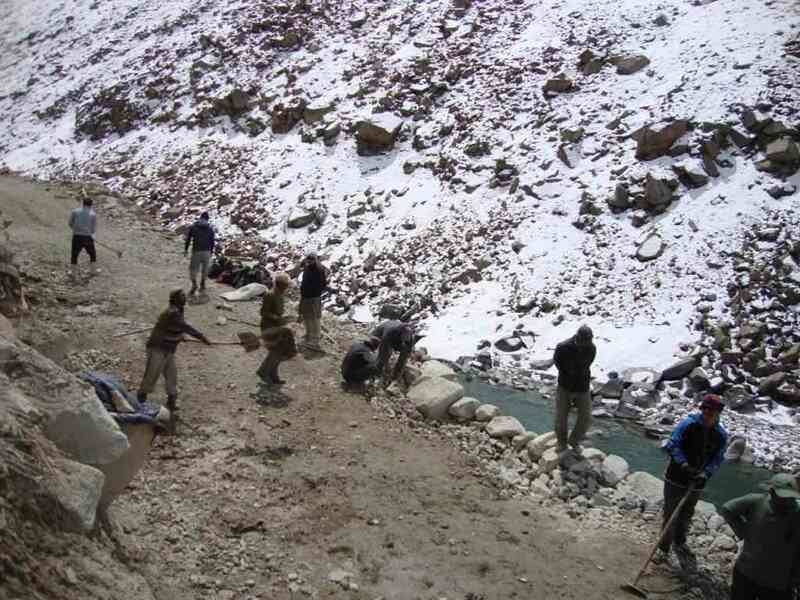 They were born in undivided India – in Dreyloung village, 25 km from the main town of Kargil. As little girls, they would run over to the nearby nala, or stream, to catch fish, and sprint panting and giggling afterwards, up the hill to Zafyok, where they would play until sunset. But life wasn’t all games and giggles for the seven families in Dreyloung. A severe scarcity of food and poor economic conditions had rendered survival difficult for its Shia Muslim, Balti-speaking residents. 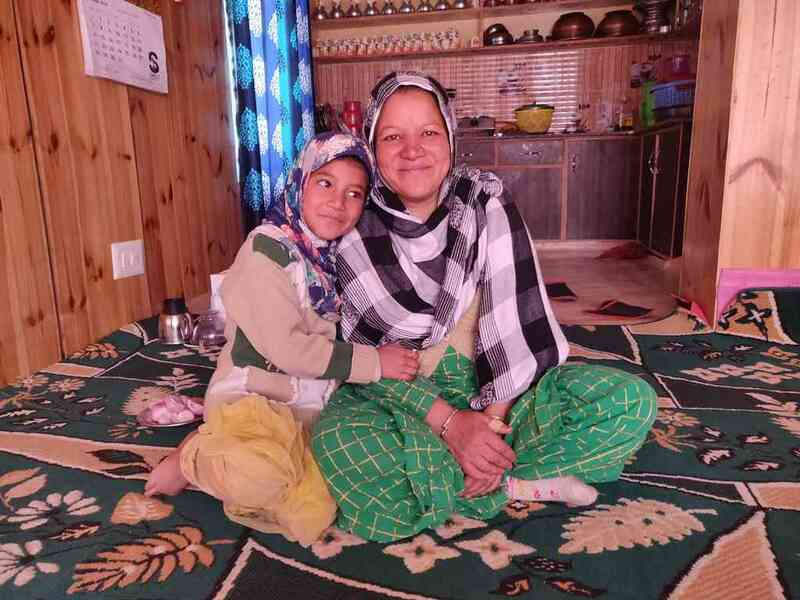 “...we would eat raw mulberries, turnips with milk,” recollected Rahima, now 75, the wrinkles across her face sometimes contracting into a frown, sometimes relaxing into a smile. 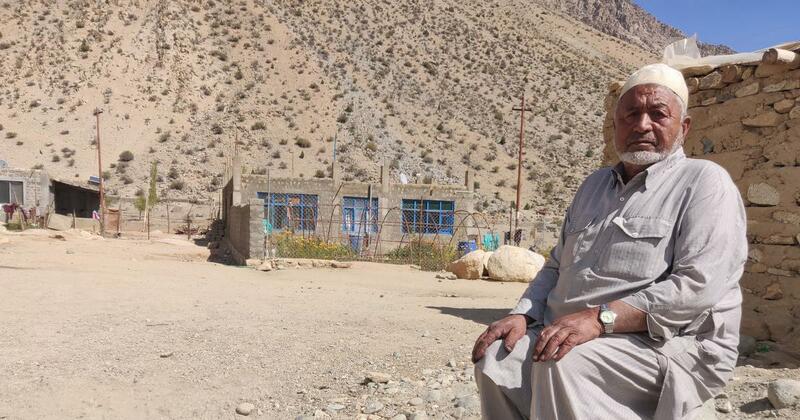 Haji Mehdi, now in his 90s, remembered wearing sacks because there wasn’t money to buy clothes. His father and brothers would make wooden utensils and sell them to the residents of Fultuks – a village in Gultari in the Gilgit-Baltistan region of what is now Pakistan – in exchange for ration, which they divided equally among all seven households. The nala separated Dreyloung from the fertile village of Babachan, where families from both villages would grow their produce. “A few members from every family would stay there and tend to the fields and then we’d all get our share,” said Rahima. The old homes in Latoo. Photo credit: Asmita Bakshi. According to oral narratives, the first war over Kashmir in 1947 transformed the nala from a happy fishing spot to a devastating fissure. It became the mercurial Line of Control that divided countries, families and identities. Suddenly, as a result of the Karachi Agreement, which officially outlined the since-shifted Cease-fire Line in 1949, Babachan wasn’t a friendly neighbouring village anymore. It was part of what had then become a rival nation – it was in Pakistan. Suddenly, residents of Dreyloung would never again see a share of their produce from the fields across the stream, nor the family members who supplied it. The seven families spent the rest of their days scrounging for food and rearing cattle. Nearly two decades later, in June 1965, as the season’s crop was ready for harvesting, the villagers were told to leave Dreyloung for a week. India and Pakistan were at war once more, and lives would be lost if they stayed on. They never saw their village again. Nissa Fatima. Photo credit: Asmita Bakshi. Today, Dreyloung is a cheerless piece of land. It now lies bifurcated, with a newly adjusted Line of Control running through it. And in place of those seven homes stand two military posts – one Indian and one Pakistani. “Apart from the direct consequences of death and destruction due to living in an almost constant war zone, dislocation and displacements hugely impact the structures of the mind. The displacement is both physical and psychological,” writes Anuradha Bhasin Jamwal in a study titled Living on the Margins: Complex Narratives of People Living on the LoC conducted by the Centre for Dialogue Reconciliation, Gurugram. The Internal Displacement Monitoring Centre puts the number of internally displaced persons in India due to violence and conflict at 8.06 lakh as on December 31. This figure, the global non-profit admits, is an underestimate because of the difficulty in, and sporadic nature of, data collection. “Most people displaced by conflict are located in Jammu and Kashmir and in Assam,” says the NGO. “People often live in temporary camps, including informal ones, while others live in rented accommodation or houses purchased with financial compensation from the government.” There is no legal framework in India to rehabilitate internally displaced persons. 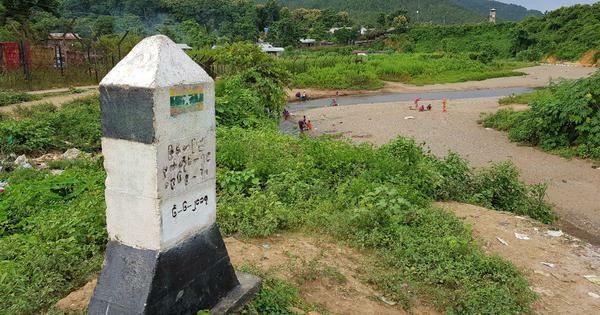 Following their ejection from Dreyloung in 1965, the uprooted families moved to Karkitchoo, a neighbouring village – living with relatives or close friends, sharing food, water, firewood and space. “The government only gave us dry ration and nothing else,” said 60-year-old Asgar Ali, now the head of Latoo. 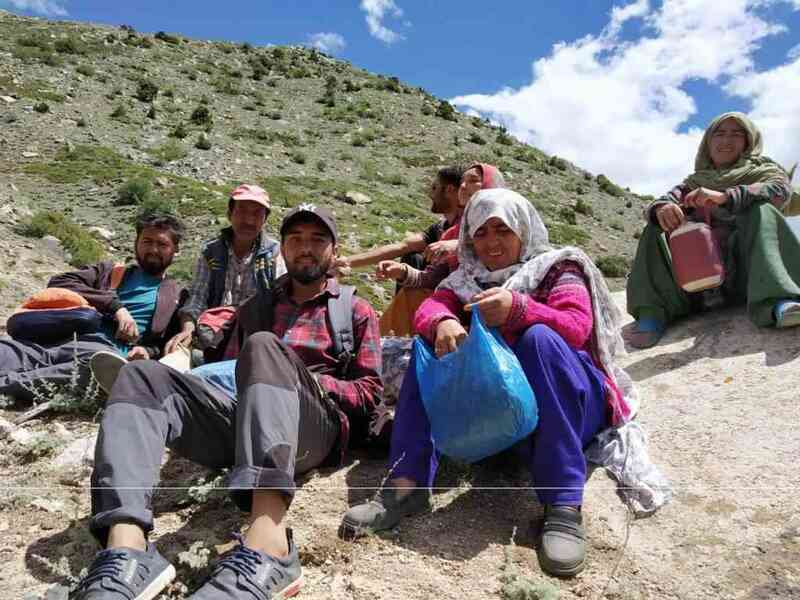 “The head of the family got a Ladakhi suit and entire families were meant to use that to remain warm through harsh winters.” Some helped in the fields and some collected human waste from dry toilets to make manure for well-off families in Karkitchoo. Most men were employed as porters for the military, earning Rs 5 per day, while the women took care of the children or reared cattle at home. Life followed these defined rhythms until every time there was a skirmish or heavy artillery exchange on the border. Fear became a constant companion, and with every disruption, families were forced to escape to either government-constructed bunkers or caves. 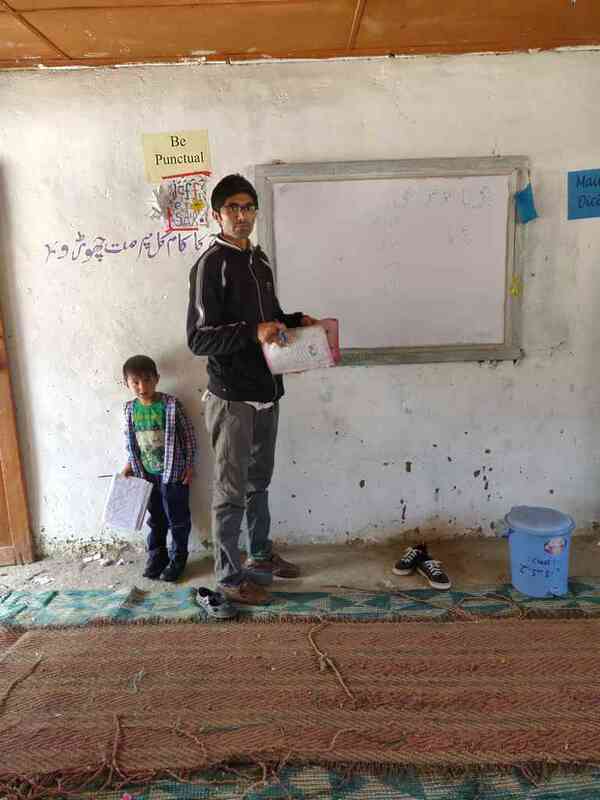 “Our education was completely finished,” said Jaffar Ali, 36, now a teacher in the Government Middle School in Latoo. 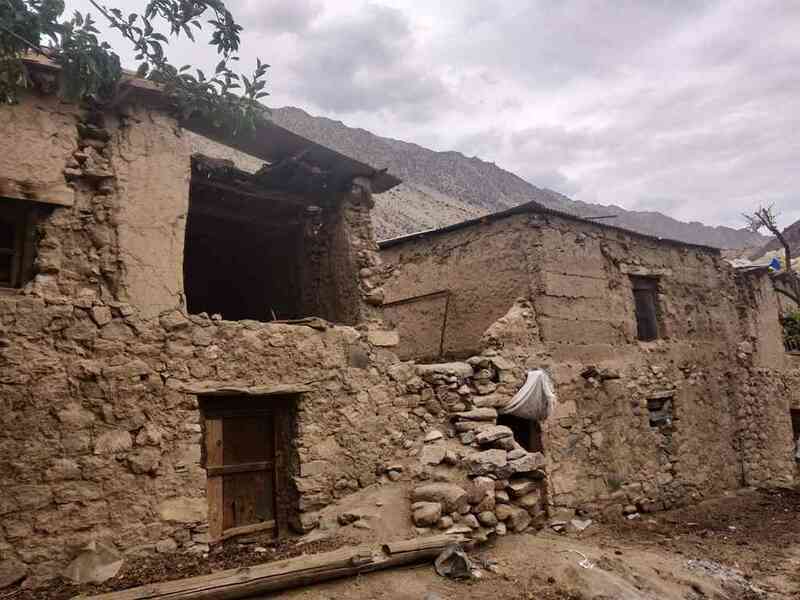 Shuffling between caves, bunkers, refugee settlement camps and nearby villages such as Minji, Sankoo or Suru Valley, residents of Latoo lived in a state of flux for a decade and a half, until there was peace again with the Ceasefire Agreement of 2003. The community has, over the years, tried to build a normal life for itself. By 1979, the village had a primary school, which operated out of a room in Haji Mehdi’s home. The residents laid a pipeline, which gave every family 40 minutes of water per day. In 1994, they carried a transporter up to the village and finally replaced the ubiquitous bambas (tins filled with kerosene and lit through the night) with light bulbs. In 1996, they dedicatedly exercised their right to vote – ballots were cast under the shelter of boulders due to heavy cross-border firing. Latoo residents take a break from laying a water pipeline. Photo credit: Talib Hussein. The village school. Photo credit: Asmita Bakshi. Latoo has been the epicentre of both cross-border and inter-village conflict since it came into existence, with intermittent respite. While waiting to gain access to a hand pump for irrigation and the end to a prolonged legal battle, its residents are working with whatever they have to make ends meet. A dispensary, new cement homes and sounds of laughter and song in a large school yard are proof of this. The land remains largely barren. Their rich Balti culture is becoming adulterated with linguistic and sartorial influences from outside – a change they are aware is irreversible. But the reality they most dearly cling to, is the long period of peace that has prevailed since 2003.